Consumer Price Index (CPI) fell slightly from 142.82 points in September 2013 to 142.75 points in October 2013. The overall rate of inflation declined from 8.29 per cent to 7.76 per cent during the period. The Kenyan shilling appreciated against all major currencies and exchanged at an average of KSh 85.31, KSh 137.31, KSh 116.33, KSh 87.24, KSh 8.80, KSh 29.74 and KSh 18.87 against the US dollar, sterling pound, Euro, Japanese Yen, South African rand, the Ugandan and Tanzanian shilling respectively, as at the end of October 2013. The average yield rate for the 91-day Treasury bills, which is a benchmark for the general trend of interest rates, increased from 9.58 per cent in September 2013 to 9.70 in October 2013. The inter-bank rates increased from 7.82 per cent to 10.60 per cent during the period. The Nairobi Securities Exchange share index (NSE 20) went up from 4,793 points in September 2013 to 4,936 points in October 2013, while the total number of shares traded increased from 489 to 804 million shares during the same period. The total value of NSE shares traded rose from KSh 10.1 billion to KSh 15.9 billion. Broad money supply (M3), a key indicator for monetary policy formulation, increased from KSh 1,862.0 billion in September 2013 to 1,879.1 billion in September 2013. 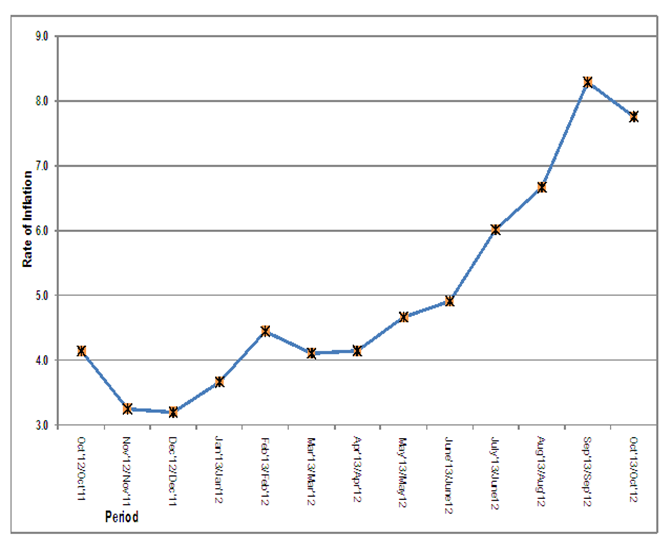 Money and Quasi-money (M2) expanded from KSh 1,593.4 billion to KSh 1,596.6 billion over the same period. Gross Foreign Exchange Reserves increased from KSh 684.6 billion in August to KSh 695.2 billion in September 2013. Net Foreign Exchange Reserves decreased to KSh 374.5 billion over the same period. Good morning and welcome to our celebrations. Today is yet another day that we are gathered to raise awareness on the production and use of statistics, which is one of our core mandates. Our Vision in the Bureau – to be “A centre of excellence in Statistics production and management” – truly captures the theme for the 13th African Statistics Day celebration. The theme focuses on “Quality Data to support African Progress.” This draws attention to all data producers, supplies and users to the importance of quality statistics for evidence based decision making in all aspects of our socio economic development processes. Our celebrations today combines both the African Statistics Day and the attainment of the ISO 9001:2008 Quality Management System certification. Statistics is a powerful and irreplaceable tool for decision making which informs the design, implementation, monitoring and evaluation of various development programmes by government and stakeholders. The need for and use of quality data, therefore, is critical in planning and improving delivery of services. The Bureau believes that data should be relevant to the needs of users, accurate and widely disseminated in a timely manner. It should be easily accessible to all, for use in informing the efforts of building the nation. Above all, the data collection methodologies should be scientifically acceptable and statistically sound. To this end, the Bureau has always complied with international standards and methodological soundness when producing and disseminating any form of statistics. Further, a number of statistical committees including; Trade Statistics Committee, Agriculture, Environment and Nutrition Committee, Justice and Security Statistics Committee have also been established and operationalized to ensure production of quality data is achieved. The Bureau has also been training its staff as part of skills development to enhance their technical capacity. As the Bureau endeavors to meet its mandate, a myriad of challenges are encountered. These include inadequate resources and office space among others. In addition, the emerging role of the regional economic cooperation and trade negotiations have brought in the challenge of increased demand for quality statistics for informed decision making. The increased demand of data at devolved level as we implement the current Constitution is also a great concern. In an effort to address these challenges, the Government and the development partners have been increasing their support towards development of the National Statistical System (NSS). • Formulation of a National Strategy for the Development of Statistics (NSDS). The Strategy once implemented will promote effective coordination between data producers and users, thereby enhancing and ensuring the relevancy, efficiency and timeliness in dissemination of data. • Revision and rebasing of National Accounts. • Creation of new and expanded sampling frames to enable the Bureau to generate reliable statistics at the county level. • Undertake an Agriculture Census to update agricultural indicators and subsequently create a sampling frame to be used in future agricultural surveys. • Undertake the second Kenya Integrated Household Budget Survey to update various indicators. In particular, new poverty estimates which forms a key input to resource allocations will be derived. • Undertake a survey of Micro, Small and Medium Enterprises (MSME) to determine their contribution to the Kenya economy and employment creation. • Development of a new website which has more improved features and is easier to navigate. 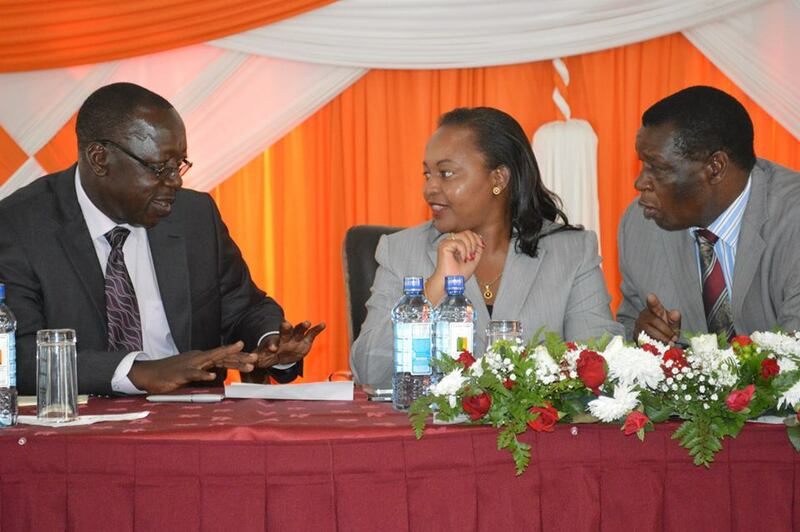 • Production of county indicators and preparation of county specific Statistical Abstracts to improve on data access. The Bureau will soon be engaging other stakeholders to start work of addressing the various statistical flagship projects outlined in the second Medium term Plan (2013-2017) the preparatory stated. The Kenya National Bureau of Statistics is exceptionally pleased to receive the ISO 9001:2008 Quality Management System Certification. Under the current Performance Contract, continuous implementation of ISO 9001:2008 QMS is one of our commitments. As we celebrate this attainment of the ISO certification, we wish to assure our customers, partners, data producers and users that KNBS will continue to implement the QMS. We shall endeavor to uphold efficiency and high standards of performance in order to satisfy our customers. Through this journey, our customers can rest assured that we shall honor all the pledges we have made to them on quality and performance. I would like to take this opportunity to thank the Government for the support they have been rendering to the Bureau towards development and production of statistics. Equally, I thank all the development partners for their technical and financial support. To the data producers, I thank you for your continued cooperation whenever called upon. I am also indebted to the, Board members and the staff of KNBS for working as a team as we strive to discharge our mandate. Finally, I thank the Media and everyone else for finding time to celebrate with us today. Let us go out and spread the gospel of statistics. It is a great pleasure for me to join you this morning as we celebrate the 2013 African Statistics Day. Under our government, the responsibility for gathering statistical data, analyzing it, and disseminating it to the Kenyan public rests primarily with the Kenya National Bureau of Statistics in the Ministry of Devolution and Planning. In my capacity as the Cabinet Secretary in that Ministry, I am acutely aware of the vital role that statistics play, not just in devolution and planning, but also in our overall public resource allocation and distribution according to gender (as in the Women Enterprise Fund), or by age (as in the Youth Enterprise Fund), and in all the devolved funds. Good data is essential for evidence- based policy –making which is what the Jubilee Government has pledged to follow. Sound and timely data is also indispensable for tracking progress towards nationally agreed targets under Vision 2030, and internationally agreed-upon development goals like the MDGs. The Kenya Government therefore is pleased to join other African governments in celebrating “Africa Statistics Day”. This year, its theme is “Quality Data to Support African Progress”. The reason why we, as African Ministers in charge of economic planning and development chose that theme is that we recognize that African economies have been on the path of sustained growth since 2000. Africa’s GDP grew by an average of 5% yearly over the last decade, defying the 2008 global financial crises. It is our best performance of any decade since the 1960s. We all need to track that progress in all its details, so that we can keep up the growth momentum, improve the livelihoods of the African people, and avoid any shocks that could throw us off the road to sustained and inclusive growth. In other words as we for move forward, we need high quality and timely data for sound economic management, planning and implementation, monitoring and evaluation. All African governments now recognize this, and the ministers concerned have jointly pledged to do the best they can, given the resource constraints, to provide our governments and people with better and more timely statistics. Coming to Kenya, I would like to mention that my ministry has initiated reforms that are necessary to provide our country with quality data using modern electronic technology. We realize that having set the goals of the Second Medium Term of Vision 2030 and those of devolution, we need some data we do not presently collect. We now have the added responsibility of collecting and recording data by county, and of providing the county governments with the full capacity to collect and analyze data within the counties as provided for under schedule 4 of the constitution. In the pursuit of continuous improvement of the quality of our official statistics at all levels, the country has implemented a number of programmes in the recent past. These include the Integrated Management Information System (IMIS), Integrated Financial Management Information System (IFMIS), Education Management Information System (EMIS), the Health Management Information System (HMIS) and the KENINFO data dissemination system. Through the Statistical Capacity Building Project (STATCAP), the country established the National Statistical System (NSS) with the objective of creating a platform for coordinated statistical development among institutions and capacity building for data producers as a way of enhancing the quality of our national statistics. These are the systems under which we intend to incorporate county data in cooperation with our county governments. I wish to thank all our development partners who supported STATCAP and look forward to further cooperation as we implement the necessary reforms in statistical capabilities as required by the constitution. Currently, the Government through KNBS is drawing up a National Strategy for the Development of Statistics (NSDS). This is expected to provide the country with a strategy for developing statistical capacity across the national statistical system. It will have both medium and long term targets. The national statistical system will be a comprehensive and unified framework for continual assessment of user needs and priorities in statistics. It will also provide a road map for building the capacity needed to meet needs in a more coordinated and efficient manner. The new reforms will provide a framework within which the gathering and breakdown of our official statistics will be made compliant with devolution. In implementing the NSDS therefore we are also acutely aware of the role that our county governments, private sector, civil society, academic research staff, and our international development partners will continue to play in utilizing our statistics. In line with the participation requirements of the Constitution, I urge them to suggest policy reforms and innovations, and to indicate better ways of collecting and disseminating official data, of the type that they use. I would like to take today’s opportunity to assure all our partners, and all those who rely on data from KNBS, that we welcome feedback from you as we proceed to implement the NSDS in order to i serve all of you, and all Kenyans, much better. In recognition of important role played by the KNBS under current reforms, the Government is in the process amending the Statistics Act 2006, which established the Kenya National Bureau of Statistics as an independent agency, in order to align it with the current constitution. The proposed amendments to the Act will cater for standards and methodology in collecting data, supervision of the statistical system at national and county level, and technical support to the County Governments. The same amendment will also designate the rules to be followed in sample surveys, and the linkage of the county data sets to the national database. With these amendments the mandate of the Bureau under the new Constitution will be clearer and this will allow for comparability of statistics at the county, national, regional and international levels. It will also lead to harmony, and avoidance of duplication, resulting in efficiency in production of statistics and service delivery. The Ministry of Devolution and Planning continues to receive requests from our country governments to support them in building capacity for integrated county planning, strategic urban planning and all-round capability to track economic and social change in the counties. To meet that demand, KNBS will produce County Statistical Abstracts that should be a one stop shop for county based statistics, in the same way that “Huduma Centres” will become a one-stop-shop for public service generally. In the same spirit, the household and establishments master sampling frames from which guide all our surveys are being re-organised in order to provide data that is more accurate at both the county and national levels. 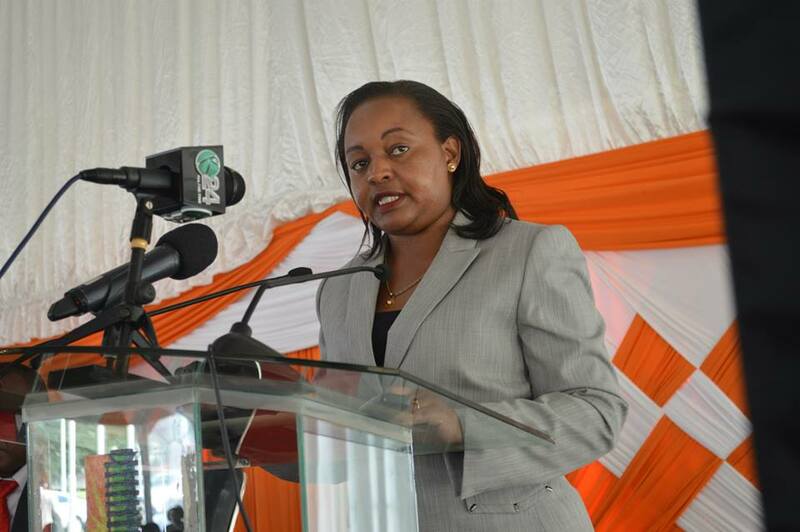 In addition, the Government will undertake a second round the Kenya Integrated Household Budget Survey (KIHB). We particularly need that data in order to understand what has happened to poverty since the first KIHBS survey of 2005. It will also provide us with more reliable data on the state of family incomes, housing, health, employment, access to clean water, literacy, trade and agriculture activities. As you may be aware, it is now a requirement under the Government performance regulations for all Ministries and Departments to work towards realization of the ISO Quality Management Systems. This year’s celebration of the “African Statistics Day” coincides with the award of ISO 9001:2008 Certificate to the Kenya National Bureau of Statistics. 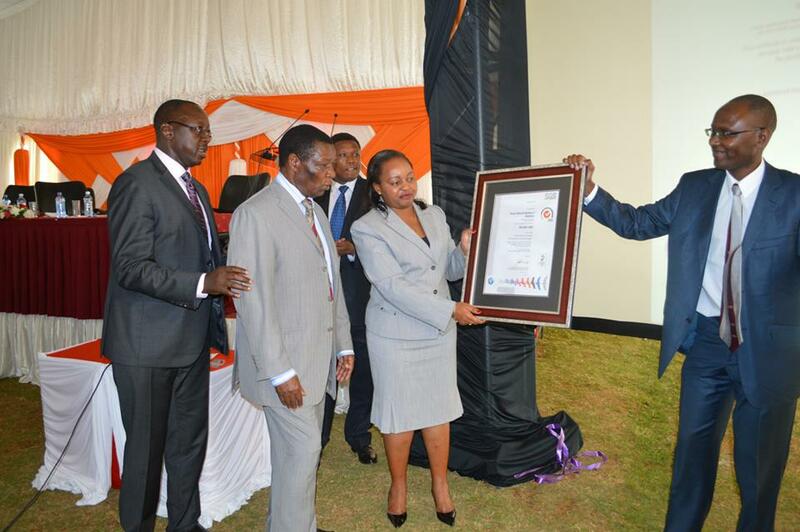 The ISO 9001:2008 Certificate of compliance to Quality Management Systems was issued by SGS to KNBS in April 2013. This followed a rigorous and successful process of implementing quality management systems. As the Minister for Devolution and Planning I wish to congratulate the KNBS on this achievement, as it raises the number of agencies in the ministry that are ISO certified. Good statistics should tell the full and honest story of the population from which they are collected. Over time, they should tell us what is happening in the economy, our society, and our capacity to govern ourselves in accordance with the Constitution and our laws. Collecting reliable data largely depends on cooperation from the people of Kenya, first and foremost, and on all the stakeholder organizations represented here today. I want to thank them all for the cooperation and honesty with which they respond to requests for information by KNBS. I would also like to thank our international development Partners for both technical and financial support that they continue giving towards statistical development in Kenya. As we proceed to implement the reforms I have outlined, we shall continue to rely on this cooperation that has served Kenya so well. It is now my pleasure, Ladies and Gentlemen, to declare this years’ Statistics Day Celebrations officially opened. In addition I call upon all of you to join KNBS fraternity in also celebrating attainment of ISO 9001:2008 QMS. Cabinet Secretary Anne Waiguru receives the ISO 9001:2008 certificate on behalf of Kenya National Bureau of Statistics from SGS certification manager Mr. Kioko Ndolo during celebrations to mark Africa Statistics day at KICC COMESA grounds. Preparations are underway to celebrate the annual African statistics day on November 18 on the theme: “Quality Data to support African Progress”. Commemorated annually, the United Nations Economic Commission for Africa (ECA) aims to increase public awareness over the important role that statistics play in all aspects of social and economic life in Africa. According to ECA senior officials, the annual celebration this year will focus on data quality, which is an essential tool for monitoring the achievement of national development plans and international development goals, such as the Millennium Development Goals (MDGs). The CPI decreased by 0.05 per cent from 142.82 in September 2013 to 142.75 in October 2013. The overall inflation rate stood at 7.76 per cent in October 2013. Between September and October 2013, Food and Non Alcoholic drinks’ Index decreased by 0.24 per cent. As shown in Table 3, this was as result of a number of foodstuffs declining in prices in October 2013 compared to September 2013. On account of notable reductions in the prices of kerosene, electricity and cooking gas; the Housing, Water, Electricity, Gas and Other Fuels’ index, declined by 0.16 per cent over the review period. Further, though the forex adjustment charges increased from KSh1.39 to 1.46 per Kwh, fuel cost adjustment charges decreased from KSh 5.43 to 5.18 per Kwh of electricity consumed. 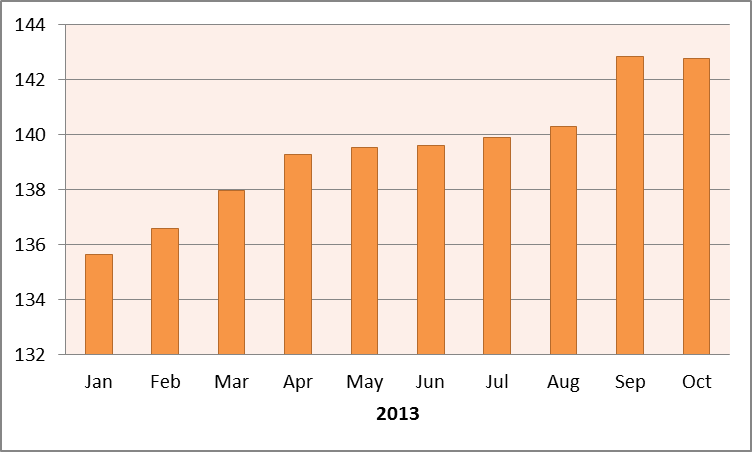 This led to slightly lower cost of electricity compared to September 2013. Similarly, the Transport Index decreased marginally by 0.05 per cent mainly due to reduced prices of petrol and diesel. .Read more..